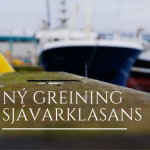 Í nýrri Greiningu Sjávarklasans rýna hagfræðingarnir Þór Sigfússon og Haukur Már Gestsson í þá þætti sem geta skapað hvað mest verðmæti í sjávarklasanum næsta áratug. 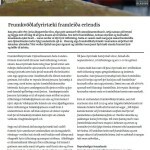 Þar kemur fram að vel sé raunhæft að íslensk fyrirtæki í sjávarútvegi og tengdum greinum, sem nefnast einu nafni „sjávarklasi“, geti aukið veltu sína um allt að tvö hundruð og fimmtíu milljarða á næstu tíu árum. 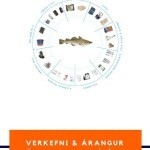 Til þess þurfa þó fjárfestingar í nýsköpun að aukast umtalsvert. 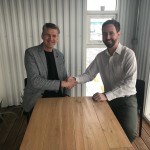 Í nýlegri skýrslu frá Nordic Innovation kemur fram að nýsköpunarfjárfesting þurfi að aukast um 30 milljarða á ári svo að Ísland sé samanburðarhæft við Norður-Ameríku. 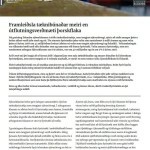 Augljósasta leiðin til þess að auka nýsköpun í sjávarklasanum er að bjóða sjávarútvegsfyrirtækjum að greiða umtalsvert lægra veiðileyfagjald ef þau fjárfesta í nýsköpun og tækni. 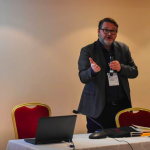 In a new Ocean Cluster Analysis, economists Thor Sigfusson and Haukur Már Gestsson review the factors that are likely to create the most value in the ocean cluster in Iceland in the next decade. 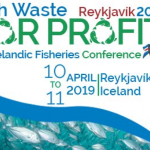 The analysis states that it is realistic that Icelandic companies in the fishing industry and related sectors (the ocean cluster) will increase their turnover by 250 bn. ISK in the next ten years. For that to happen, it is crucial that investment in innovation is boosted heavily. A newly released report from Nortic Innovation states that innovation investment needs to increase by 30 bn. ISK anually for Iceland to be comparable to North America. The best way to boost innovation is to offer tax deductions to companies that invest in new technologies and innovation. 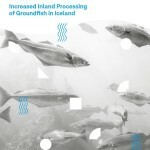 The Analysis is available in Icelandic here.